Horizontal Gel Liquid Swab stick Automatic Packing machine is specially developed and manufactured by our scientific research personnel for packing four sides sealing of the swab sticker. 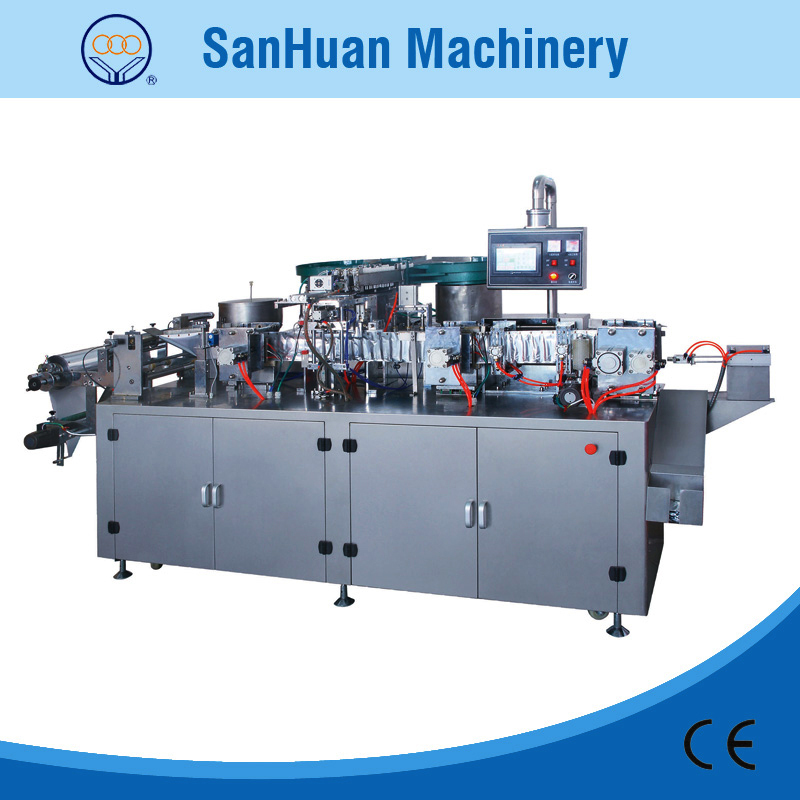 The machine from bag forming, feeding, automatic feeding liquid, four sides sealing, easy opening, printing lot number, cutting to the finish products convey is finished at one time. The machine adopt PLC Programmable Controller to program operation of the whole machine, the machine having the advantage as vantage performance, easy operation and maintenance. Horizontal Gel Liquid Swab stick Automatic Packing Machine drived by servo motor and aligned by pneumatic clamp, making operation stable. The touch screen clearly displaying the speed, the length and width of the bag setting. Sensor automatic control arround correcting the film position, making the both side of bag the same, color code detecting, flattening and beauty. Automatic feeding: Vibration plate and manipulator can feeding 1-3 pieces one time, then having the feeing detecting and the alarm function. Looking for ideal Iodine Cotton Stick Machine Manufacturer & supplier ? We have a wide selection at great prices to help you get creative. All the Alcohol Cotton Stick Machine are quality guaranteed. We are China Origin Factory of Swab Sticker Machinery. If you have any question, please feel free to contact us.